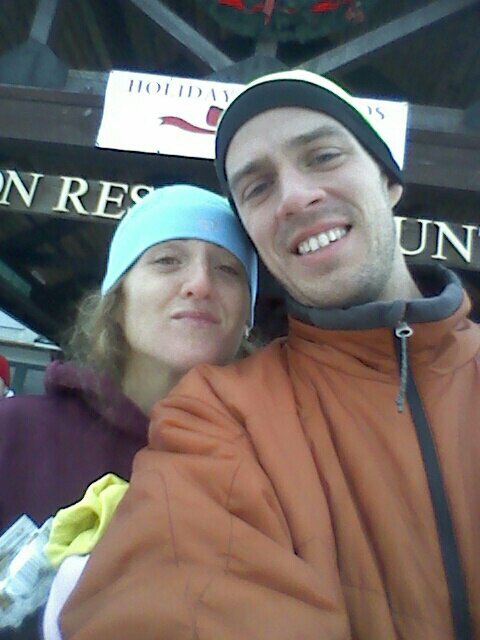 It was a balmy 9 °F when my wife, Julia, and I lined up at the start of the first annual Jingle Bell Half Marathon, put on by Club Loco, in Hamstead, NH. The race starts at the Atkinson Country Club, so we huddled inside until just before the start in order to stay warm. 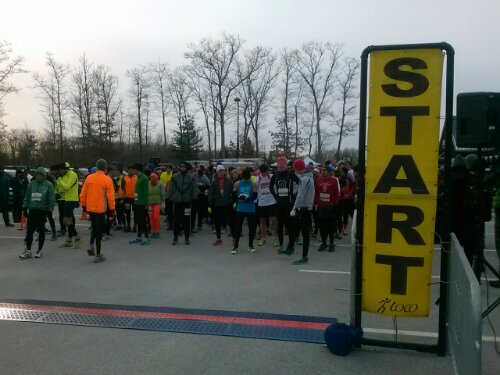 A large percentage of registered runners seemed to have shown up, despite the cold. 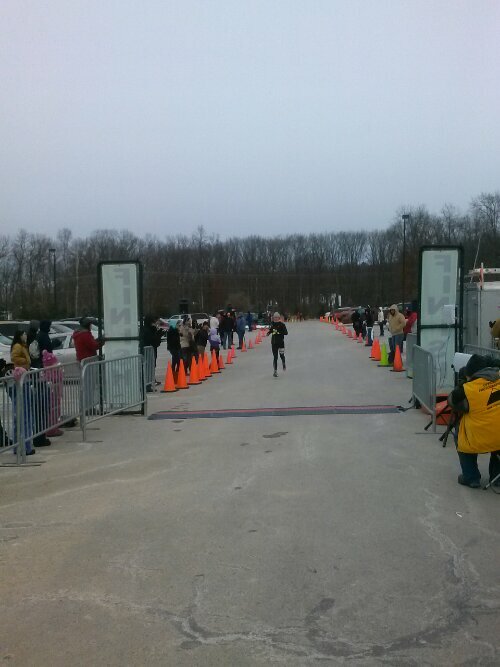 The race began promptly at 10 am without much fanfare, which I appreciated. The first two miles of the course are down hill but then the route turns to classic, rolling New Hampshire backroads. The final two miles are a gradual climb to the finish area back at the country club. I give high marks to this course. It was an open route, meaning we shared the road with cars, but the traffic was not heavy and it was scenic. Hamstead is your typical, rural New Hampshire town and we ran past plenty of forests, farm houses and fields. While I’m no fan of the frozen Vanilla Hammer gel they handed out, the hot cocoa at mile 11 was a nice touch. 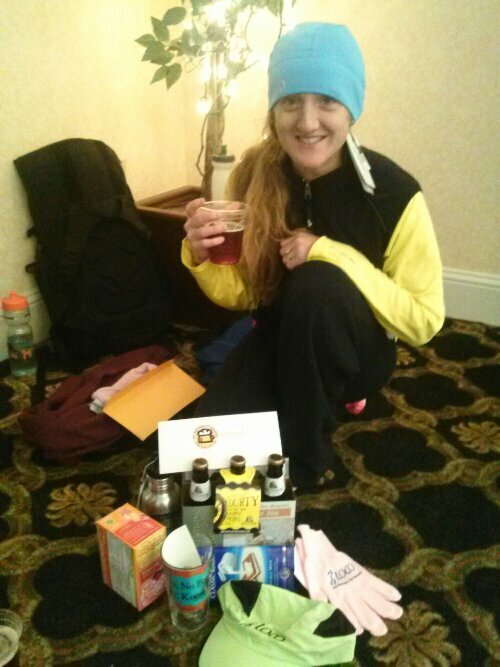 The post-race festivities were low key and featured Smuttynose Beer and more hot cocoa. The prize pack Julia received for finishing second woman was excellent and included a Smuttynose hoody, pint glass, gift certificate and a six-pack. 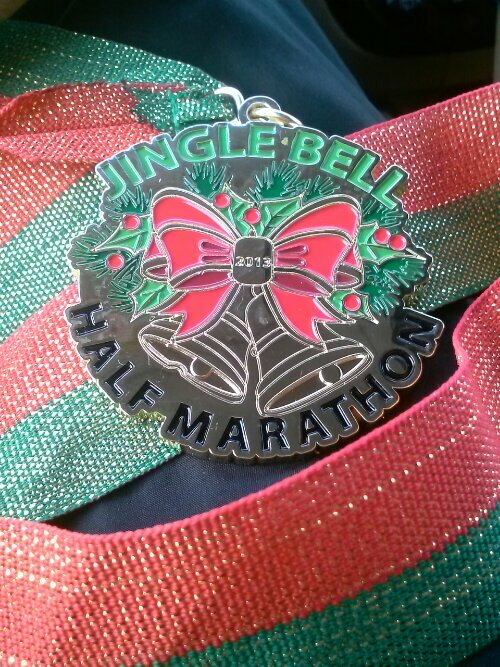 Overall, this was a great race. The registration fee was not exorbitant ($65 and included a long sleeve cotton T) and the amenities and course were good. In the future, with more seasonal temps, this race has the potential to become a holiday classic!